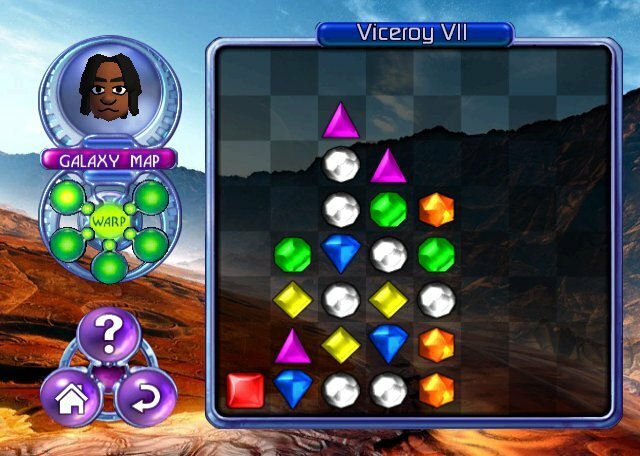 If you've gone anywhere near an electronic device capable of playing games in the past decade, odds are you've heard of PopCap's addictive puzzle series Bejeweled. This WiiWare release of the sequel marks the developer's first foray onto a Nintendo home console and is a worthy version, but it doesn't bring a lot new to the table for those who've been at it since 2004 and may be jeweled out. Terrible puns aside, Bejeweled 2 has you swapping adjacent gems to create matches of three or more, which then clears the matched batch and drops in new ones from above. Matching four creates a Power Gem that explodes when in a match and takes out surrounding jewels; a match of five or more yields a Hyper Cube that removes every gem of the same type as the one it's swapped with. Successful matches and combos fill up a level bar, and once full you advance to the next stage. The standard game ends when no more moves are possible. 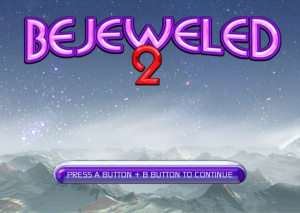 Apart from the standard Classic, Bejeweled 2 includes Action, Endless and Puzzle modes. Endless is fairly self-explanatory, really, but it's a nice stress-free option for when you just want to zone out in front of the big pretty gems. Action is the opposite of relaxing: each stage starts you off with a half-full but constantly depleting level bar. Filling the bar takes you to the next stage, but if it fully depletes then the game is over. 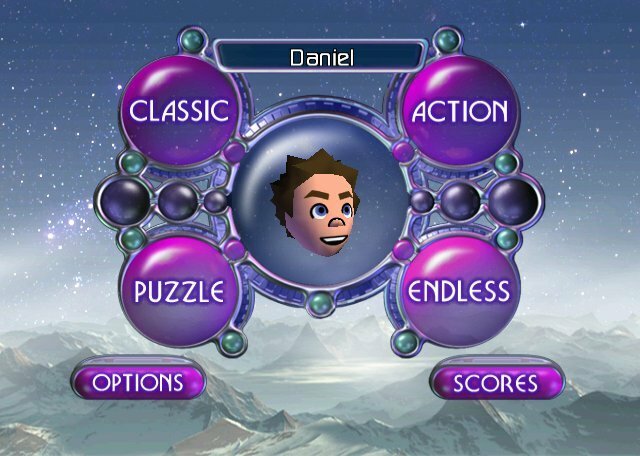 Puzzle takes a more cerebral approach and includes several series of scenarios that can only be solved in a certain way. Anyone who has lost an hour of their time to the game can tell you that it's a super-addictive experience, and nothing about that has been lost in the translation to WiiWare. The pointer controls are quick, snappy and spot-on; if for some reason you'd prefer to use a more traditional method of input then the game has your back, but the Wii Remote is the fastest and most fluid way to play. Miis make an appearance to act as profiles, and online leaderboards will let you share your scores with the rest of the world. Apart from these things, though, this WiiWare version doesn't include anything Bejeweled vets haven't seen before. The puzzles are the same, the graphics are the same, and there's a distinct lack of the popular Blitz mode. 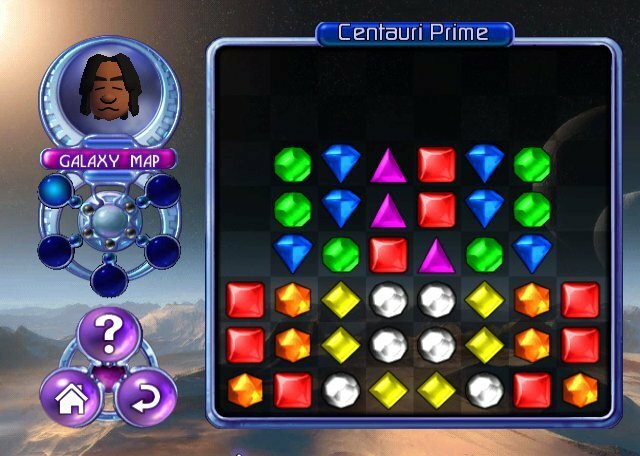 We wouldn't expect PopCap to reinvent the gem for a WiiWare port, but looking at the fleshed-out treatments that other classic puzzle games have received on the service — like Tetris Party and Dr. Mario — it's disappointing that long-time players have merely Miis to look forward to. 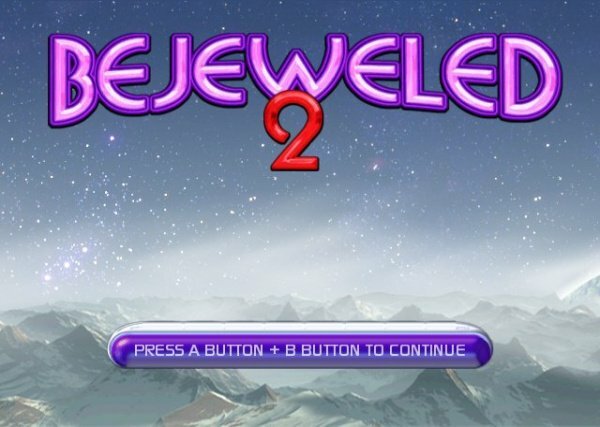 Bejeweled 2 on WiiWare is undoubtedly great if you've never played the game before, but its biggest competition is ultimately itself: versions of the game are available on virtually every platform, some cheaper or even free to play, so a 1000 Point WiiWare download might not be the best option for you. Still, you can't deny that it's addictive and fun in a way that few puzzlers manage to be, and those who get sucked in will guaranteed lose a large chunk of time in a hazed gem-swapping frenzy. If you have something to do or somewhere to be, don't play Bejeweled 2. I was bored after playing Bejeweled/Diamond Mine for about 10 minutes. Are there really people who are playing something like this for hours and hours? Oh man, I can lose hours at a time playing Bejeweled Blitz on facebook. It is digital narcotics. My mom loves Bejewled 2, so maybe I'll get this for her. They should put Zuma on the Wii. I thought that was a killer game. I'm sure it's a great title and all, but the price makes it completely undesirable. I might have gotten this, but I have the PC version, and miis and online leaderboards aren't worth 1000 points to me. @Tate24- it is pretty addicting when you actually play it. I'm out of free plays on my laptop version of this, and to buy it for the computer actually costs twice as much as to download it for the Wii! Weird, seeing as it's (at most) a $5 game! I will pick this up at some point in the future !